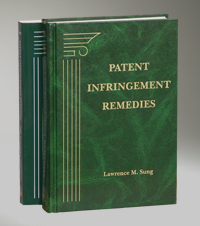 Patent Infringement Remedies provides you with incomparable insight on how patent infringement awards are achieved—so you can secure the best remedies for your clients. Stauffer v. Brooks Bros., Inc., In re BP Lubricants USA Inc., Juniper Networks, Inc. v. Shipley, all of which addressed guidance regarding falsemarking liability under 35 U.S.C. §292.